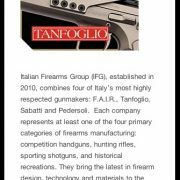 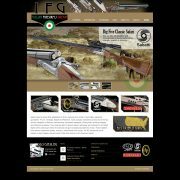 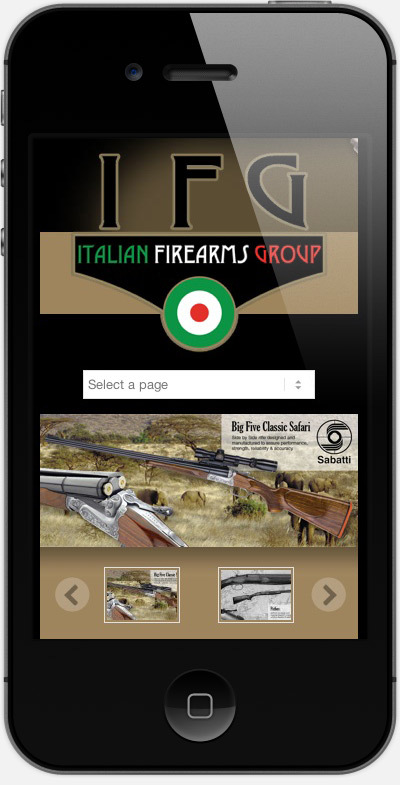 Italian Firearms Group selected BoldWater to design and develop a website for them that perfectly showcased the many models of firearms they represent from four of Italy’s finest gun makers. 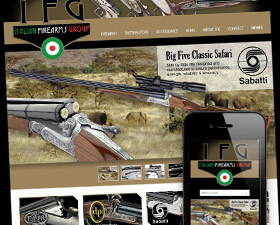 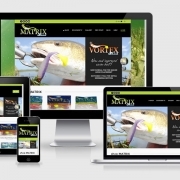 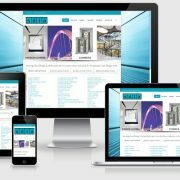 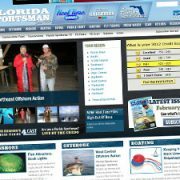 This is our first live site based on a “responsive” layout. 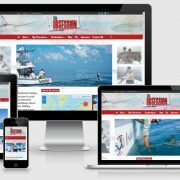 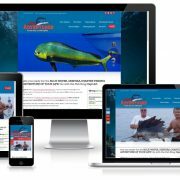 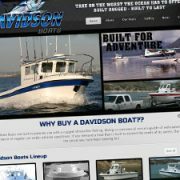 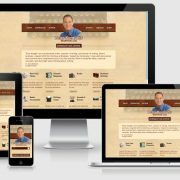 This responsive website ‘responds’ to your browser’s width, so it works great both on the desktop and for a growing number of mobile visitors accessing the web with iPhones and Tablet computers. 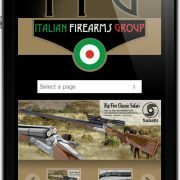 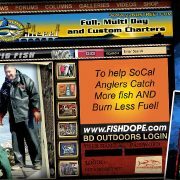 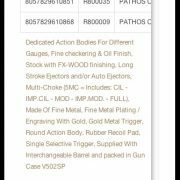 You can visit from your phone or check out the screen shots below to see for yourself how this makes the site very usable even in a handheld devices. 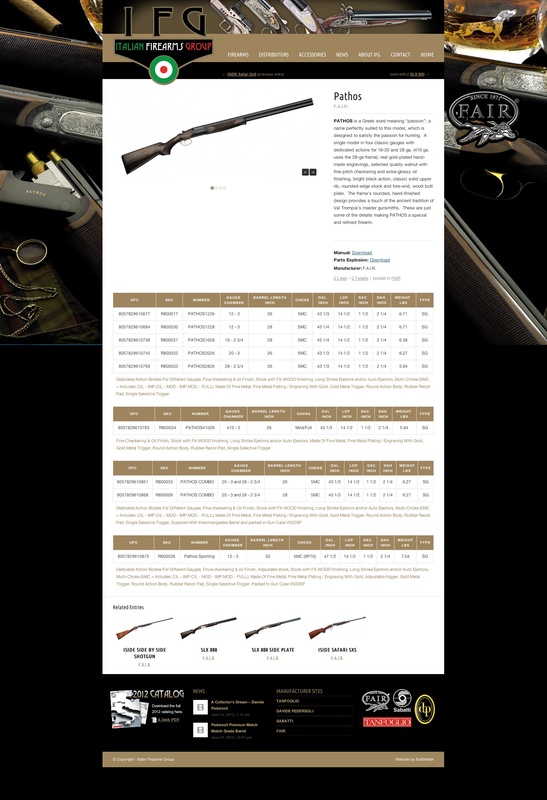 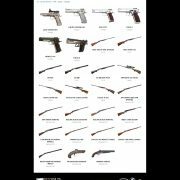 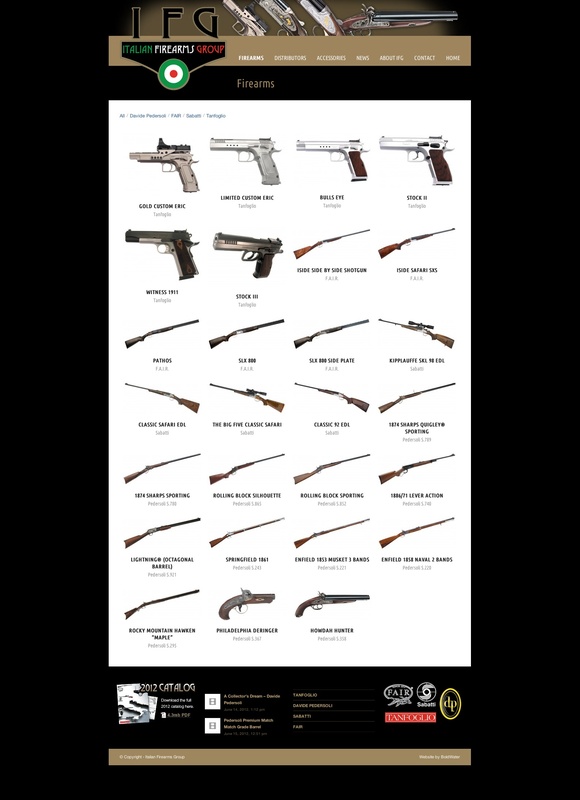 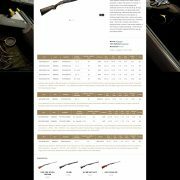 The site features an advanced AJAX powered product showcase, and each firearm model is featured on its own with a photo slideshow, image zoom, PDF downloads and tons of specs. 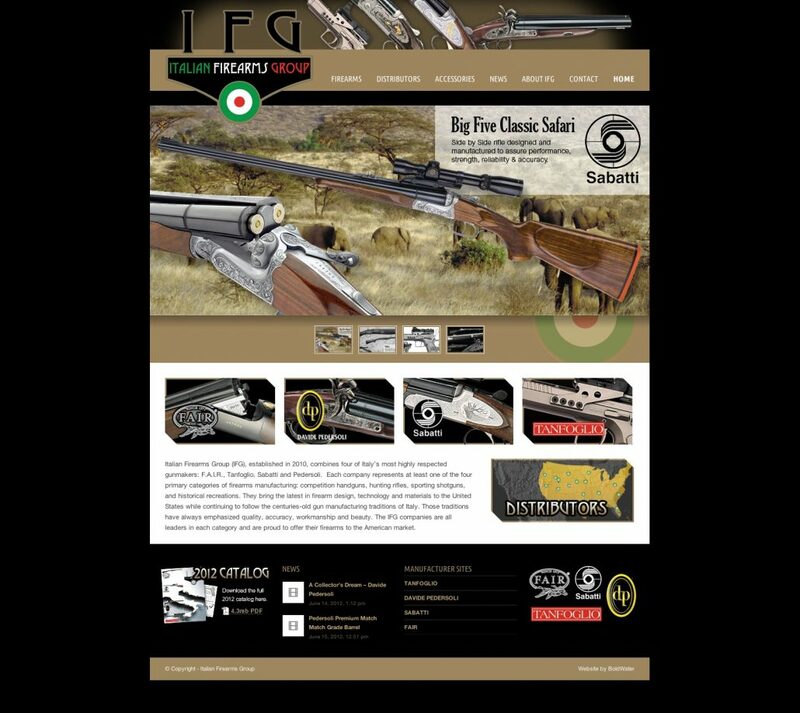 There is a multimedia blog, we also put in place an online store for apparel and accessories, products to come soon… all powered by a simple back end management system that gives IFG the tools to keep the site fresh and accurate.